Straight ‘outta Long Island, New York, Steven Markowitz, aka. 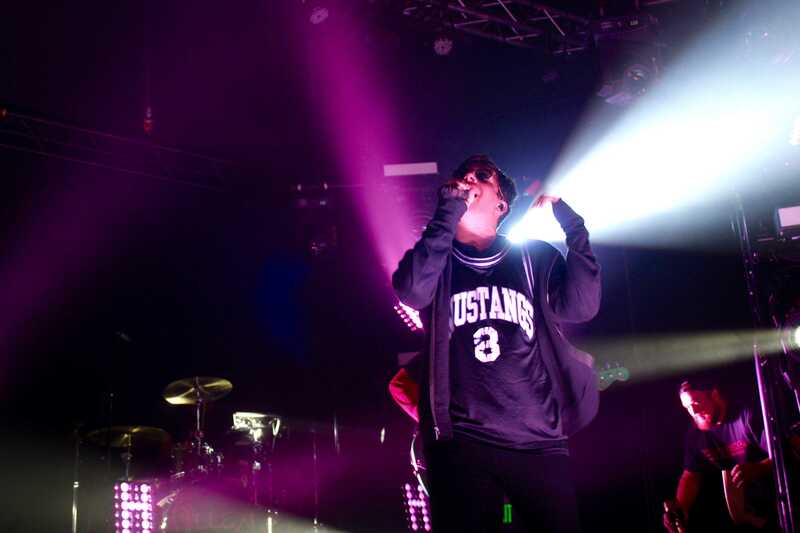 Hoodie Allen made a stop here in Salt Lake City to hype up the Utah fans on his “Hype” Tour. 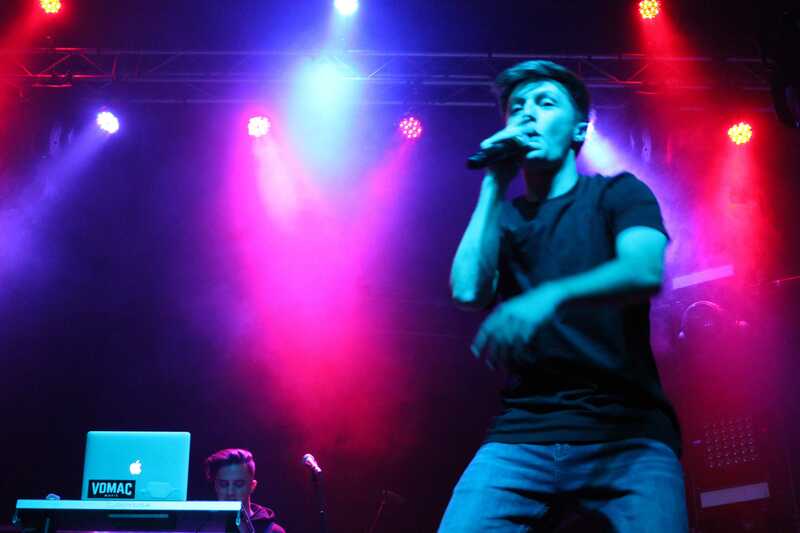 The night involved lots of creative raps from friends, such as Myles Parrish and Luke Christopher, who are on the Hype Tour with Hoodie. Altogether, it turned out to be a lively night for the young fans in attendance. The first act of the night was 25 years old, Myles Parrish, from California. Myles used to be active in the duo, Kalin & Myles, most known for their tracks “Love Robbery” and “Trampoline”. When he first came on stage, I couldn’t recognize him and I thought that he was just the average teenage boy wanting to pursue a rap career, but was succeeding at it. However, when he started to perform “Trampoline” on stage, I immediately remembered that he was Myles from the duo. I had a blast rocking out to the young rapper himself – look out for him because he is definitely going places! Following Myles was another California native, Luke Christopher. 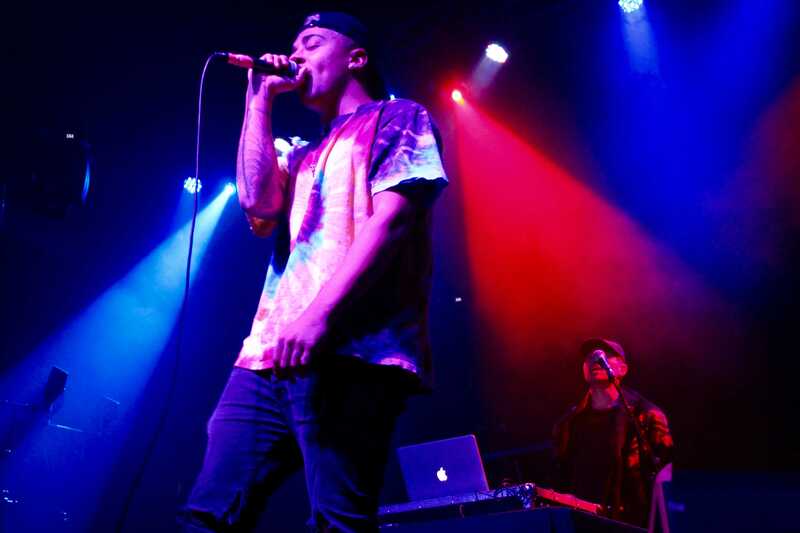 Personally, I’m not that familiar with the California rapper himself, but I really enjoyed listening to his raps. Some tracks that I enjoyed hearing was his cover of “You & Me (Flume Remix) and his flip on Odessa’s “Say My Name”, but my absolute favorite from him was his most known song “Bedroom Trip”. I love the trippy vibe the song gives and it definitely lit up the crowd for what was about to come next! When Hoodie Allen hopped on stage, there were some different aspects of his set that I noticed. First off, he brought on a live band to accompany him, which I would’ve never expected from most rappers. Second, I usually expect lots of artists to start off their set with their most popular hit song, and for example, in this case, it would be “All About It”, featuring Ed Sheeran. However, he started off his set with “Believe”, one of his songs from his new album Hype. I really enjoyed the live band performance that Hoodie gave – it was definitely a new perspective that was born. Since his tour is The Hype tour, focusing on his new album Hype, most of the songs that he performed were hits such as “Fakin”, “Know It All”, but he also threw it back and performed the hit “Act My Age” that was from one of his past albums People Keep Talking. Out of all the songs he performed on Sunday, my favorite song that he sang live was “No Interruption”, from his first album All American. Towards the end, he hopped into the crowd and crowd-surfed while flying around on a floatie, and I thought that was very enjoyable to witness and participate in! 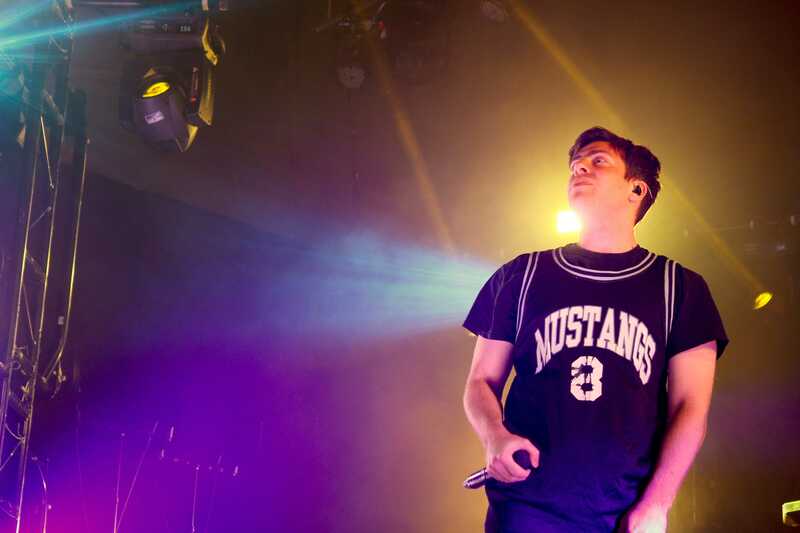 Overall, Hoodie Allen is an enjoyable artist live – he really participates with the audience and makes his performances a ball of a time – and he’s also a cutie! If you’re looking for an amusing, chill artist to listen to with nothing extreme when it comes to live shows, Hoodie Allen is the perfect rapper for you!